7th Day of Christmas : Ode to Joy! Welcome to the 7th day of Christmas! I’ve been so enjoying all the lovely projects that have been shared over the last couple of weeks as part of this 12 Days of Christmas series! 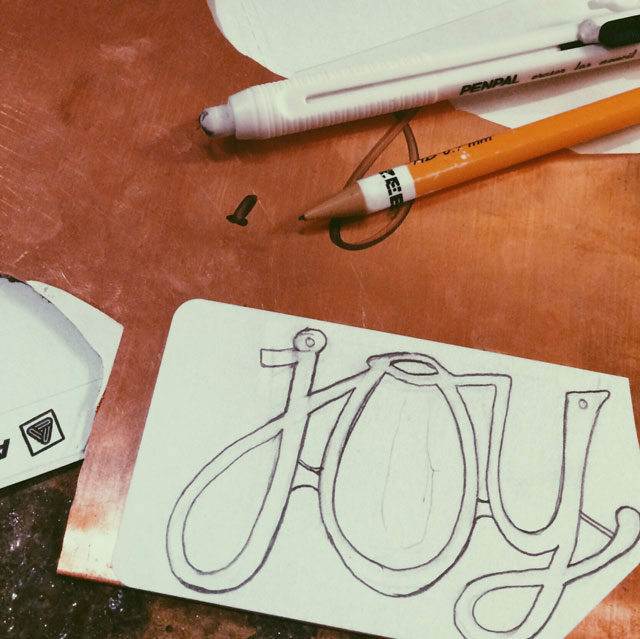 It’s a great idea to get those creative wheels turning in time for handmade holiday gifts – the best kind of gift there is! My project is very basic, but it’s a great way to show off a treasured art bead. Sometimes you don’t need much! For anyone with any kind of skill in working with metal, this project will be child’s play – but for those like me who are just starting to learn some basic skills, it’s a great way to take them for a spin! In my beginners’ silversmithing class, the first thing we tackled was sawing simple shapes out of metal. 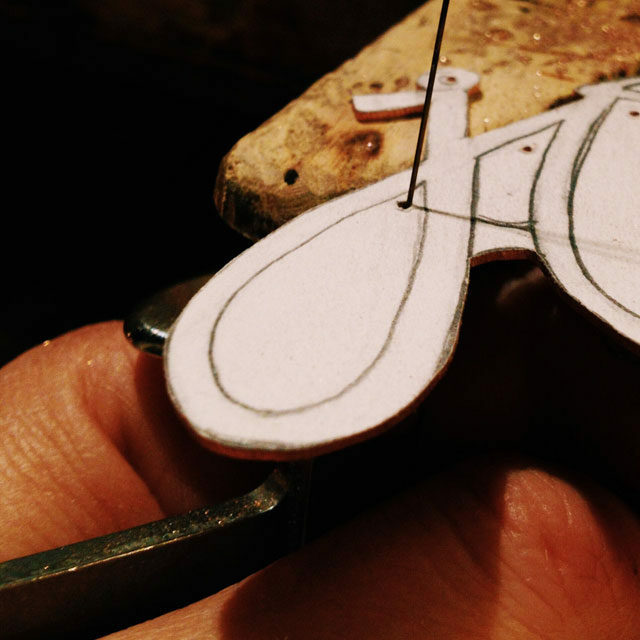 I’m working on a pair of earrings in my class, but I like the idea of practicing what I’m learning at home too – as much as I can with the tools I have acquired so far. 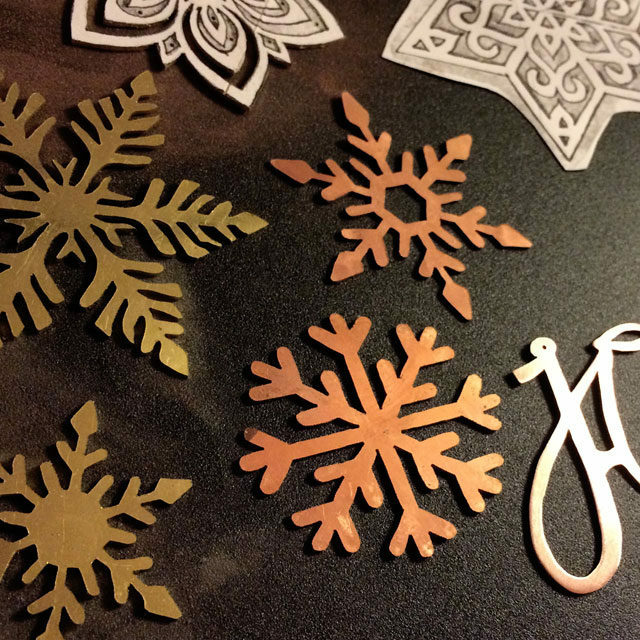 I do have all the necessities to complete a simple sawing project, so I had the idea to make some copper and brass snowflake ornaments for my family for Christmas. Snowflake patterns – like the ones you make by folding and cutting paper – are perfect for sawing and piercing, because the design elements are all connected. I’ve been using free snowflake pattern templates that can be readily found all over the internet (a Pinterest search for ‘free paper snowflake patterns’ turns up lots of good stuff!) and enlarging/reducing them on our printer to get just the right size for each design. My husband and I frequent the thrift shops around the city at this time of year, adding some new finds to our collection of vintage Christmas decorations and lights, but I always swing by the jewelry section to see if I can dig up any bead treasures. 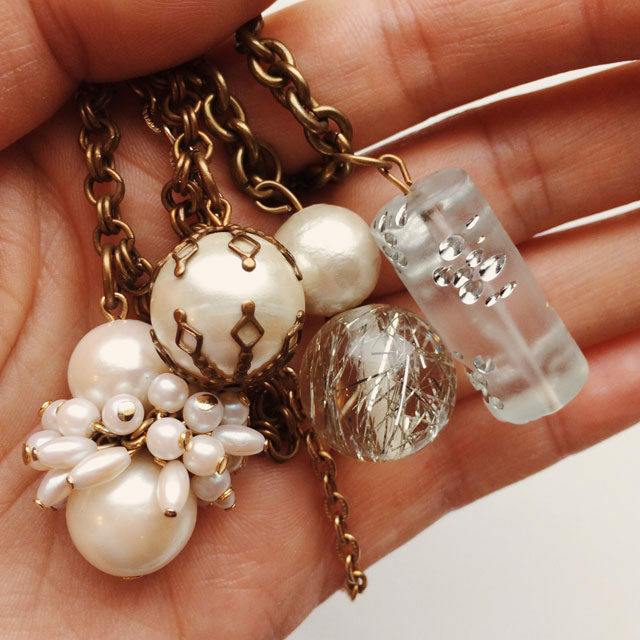 These vintage lucite beads are going to be amazing dangling from the bottom of some of the snowflakes! In the middle of the snowflake-a-thon, I realized that a very close friend of mine has a birthday coming up next week, and I wanted to design a special ornament for her, putting all that snowflake sawing practice to good use. I won’t get into technical details of sawing and piercing metal – I’m certainly no expert! Plus, it’s much better explained in a video format. If you’ve never used a jeweler’s saw before, there are tons of great videos available on YouTube that start with the VERY basics. I liked this one a lot (by Kate Richbourg for Beaducation.com): Sawing Metal. It took me a bit of doing in the beginning, but once you get the hang of it, it’s fun, easy, and relaxing. I could happily saw away for hours and hours, listening to some good Christmas music! When you’ve got the outside of your shape cut out, if there is negative space in your design you’ll want to drill a hole in each of those shapes. You’ll thread your saw blade through those to get at the interior shapes you want to cut out. I used my electric Dremel tool for this – the same one I use to clean the holes in my glass beads (and a 1 mm drill bit). If you have a big block of wood that you can place under the metal as you’re drilling, or you don’t mind drilling into your bench pin, that’s a good idea – I couldn’t do that, so I managed with a couple of scraps of wood and a plastic cutting board. And use two hands, obviously! My other hand was holding the camera. Don’t forget your protective eyewear! Now that you’ve cut your piece out, the next step is cleaning up the edges. The better your sawing technique, the easier it will be, of course! I used a set of small needle files to file the edges of the design, followed by smoothing with 220 grit abrasive paper. Then, I sanded the flat surfaces, front and back. 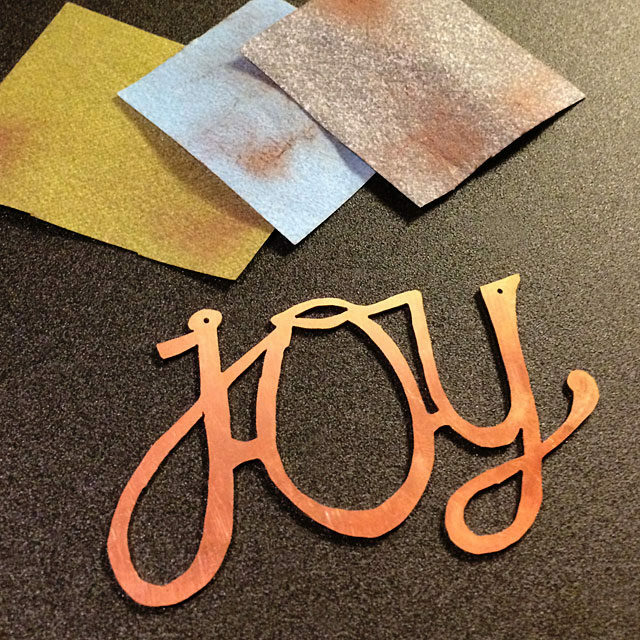 STEP 5: finish and embellish – the fun part! This is a great chance to use up bits and bobs. 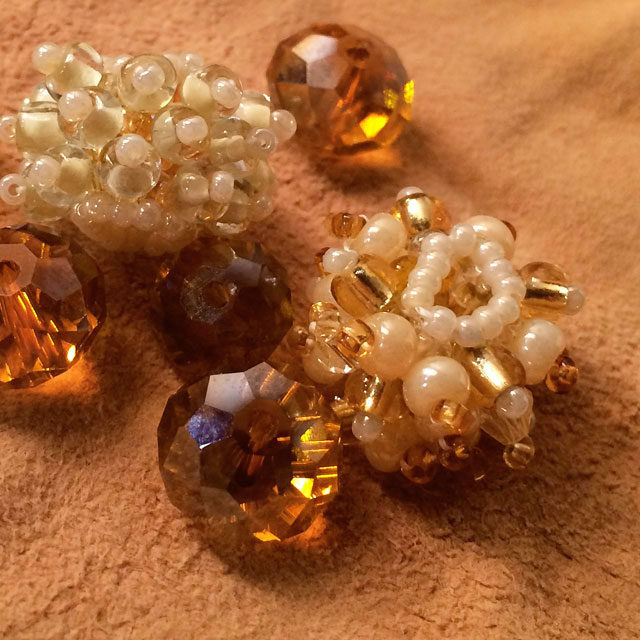 Since it’s not a wearable piece, it’s also fun to use beads you really love, that may not fit your usual ‘style’ of jewelry making. When it comes to holiday ornaments, all bets are off. 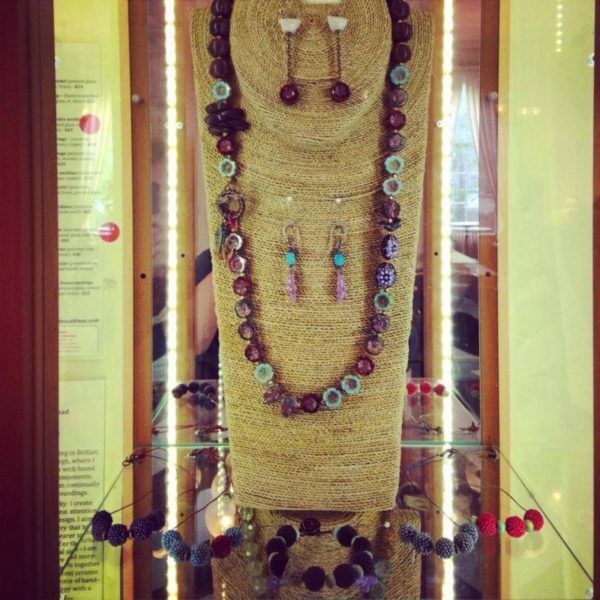 Do you make tribal, or rustic, or primitive jewelry? Here’s your chance to go for the glitter and google-y eyes. The cuter and sparklier the better! 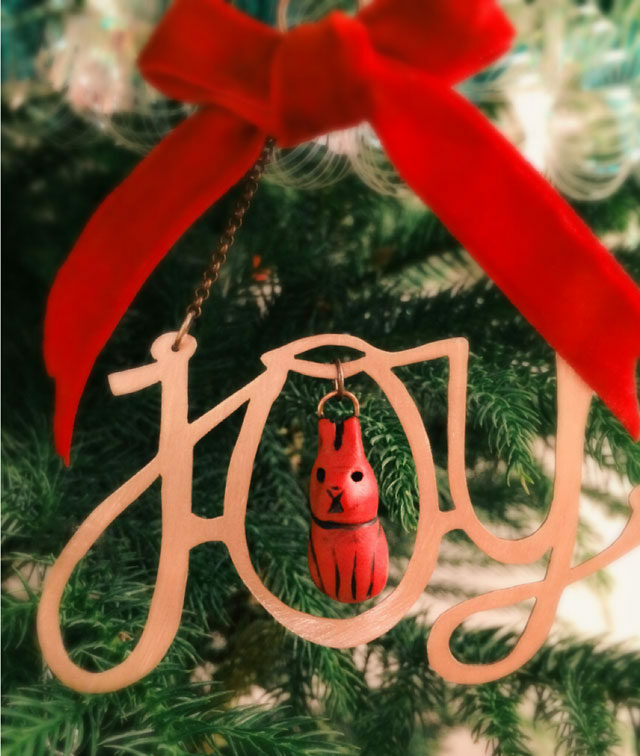 On my copper ‘Joy’ ornament, I added some chain for hanging (attached with jump rings I threaded through holes drilled at the top of the j and the y), some of that beautiful red velvet ribbon for a bow up top, and as the perfect finishing touch…. 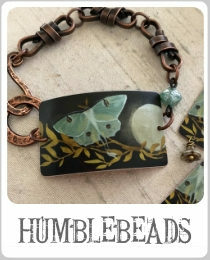 An art bead, of course! My friend has a beloved pet bunny named Wendell, so when I saw this absolutely adorable polymer clay bunny charm by Leah Curtis of Beady Eyed Bunny, that was the ONE! 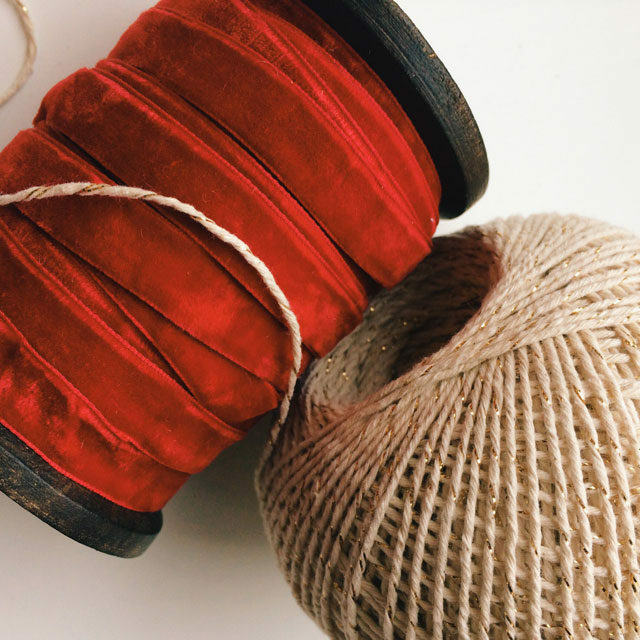 I love the idea of creating something special as a gift that fits the recipient in a way that only handmade can. And what a perfect showcase for an equally special bead. Now I just have 8 snowflake ornaments to file and sand and accessorize in the next 7 days. I hope your holiday season has been magical so far – and wishing you all good things as we approach the New Year. 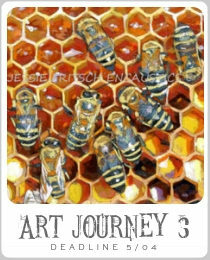 Julie is a glass beadmaker with a passion for building community and inspiring conversation around her writing. Her best work comes from that magical place where nature meets creative flow. She is fascinated by all things weird and wonderful. 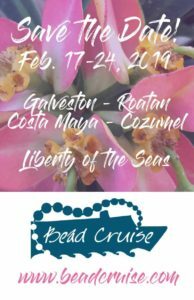 You will find her hanging out most days in her Uglibeads Facebook group or on Instagram, and you’re invited to join in the adventure by signing up for her weekly email newsletter. 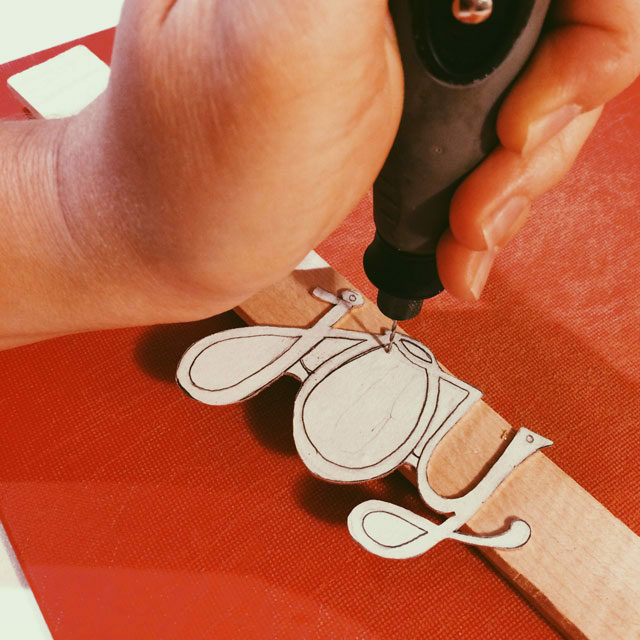 This is awesome Julie – and your sawing is, gulp, fantastic. Not something I'm a natural at…! 2016 is definitely the year for practice of that! I am in awe of your sawing prowess, Julie!! I love that you use your 'thrifting' skills to adorn these very special ornaments, too. Merry Holidays! Wow! Super wee tute, Julie! Wonderful post Julie!! I have never sawed letters and it was cool to learn how. I was especially interested in the gauge of the metal that you used. I am inspired!! Thanks so much!! What a wonderful idea and such a beautiful ornament! I shall have to give this a try, thank you for sharing Julie! I love your ornament, Julie! That red bunny is perfect in your lovely JOY. Sawing is not something I can see myself doing. However, your tutorial has still inspired me. I love vintage lucite, but I often don't know what to do with it. I actually have some of the beads in your post, and you've given me ideas for how to use them. Thank you!